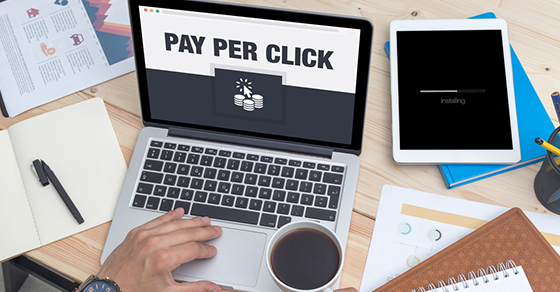 Want to get better results with your PPC? Want to do it… in under two hours? Here’s how to make it happen. Negative keywords prevent ads from showing up if a query includes certain terms. By far the most common negative keyword is “free” and should be standard for most marketers. However, there probably are some other ones that would help you narrow your focus. You can find them out by going to the Keywords menu, click the Keyword Details drop-down menu, and selecting All under Search Terms. The report that comes up shows all search terms that have resulted into clicks within a given date range. By scrolling down the list, you can identify those search terms that are not likely to result in a purchase. Check the Dimensions Tab to find ways to optimize your bidding based on the day of the week or hour of the day. Most companies will find that they either do very well on weekends or on weekdays, but almost never on both. It isn’t a good idea to completely abandon your weaker-performing days, but you can shift the bids around a little bit to take advantage of your stronger days. Similarly, you can optimize your bids based on the hour of the day. Unlike times of the day or days of the week, you can and should completely abandon underperforming geographic regions. If Western Canada does not want what you have, for example, then you have more marketing funds to capture the market in the rest of the world. You can also find the geographic data in the Dimensions tab. Start small by scrapping your lowest performing region and putting the saved money into your highest performing region. If that works out for you, cut a little more and distribute it to the higher regions. Every region has a saturation point, where higher bids won’t produce better results, but, in my experience, that saturation point is a lot higher than most people think. Use a filter on the Keywords tab to find keywords with costs per conversion above your benchmark or limit. Don’t get emotional here: even if a keyword seemed like a great idea when you added it to the list, the numbers don’t lie. Lower the bid of every keyword above your benchmark by 10%, and give it two weeks. If any are still above the benchmark, lower their bids by 30%. Give it two more weeks, and then decide whether or not the keywords are even worth keeping. Make your ad groups tighter to specific themes by removing keywords that don’t exactly match to your ads or content. Move those keywords to more appropriate ad groups, or even make a new ad group that fits them more appropriately. Content that fails to deliver on an ad’s promise is poison for SEO. Pretending to be a customer, check out your landing pages and see if they give you exactly what is promised by the ads. If not, adjust your content or links to increase alignment. Very useful tips (also known as Quick wins in this article). Especially, the 3rd and 4th points are extremely useful to follow in order to avoid a lot of expenses. Hi Tyson… I think #6 is probably one of the easiest PPC crimes to commit. I can’t tell you the number of times I’ve read an ad, clicked through to the webpage, and wondered (with that confused look on my face) why I’ve landed on the wrong page. The landing page should always match the ad copy. If you’ve got a juicy headline in the ad, that same juicy headline should be given airtime on your landing page. This way even if I step away from the computer and come back an hour later, I know exactly what I’m looking at your webpage. heres a tip im using for my local biz its called day-parting. we saved a lot of money but scheduling our ads to appear during only business hours of the day. I guess theres a report (under the dimensions tab if I remember correctly) that allows you to analyze CPC and cost per conversion by hour of the day so you can just advertise during peak hours. We actually started a process of increasing our bids during those peak hours to push out our competitors during that time and we ended up reducing overall costs by doing this as well since its more targeted. Im actually having my friend simon manage our Google Ads account, if you want to speak with him just email him at simon.b@resultsdriven.org or 302-401-4478. Tell him your friends with Dean Jackson.